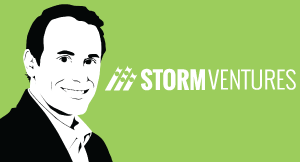 Jason Lemkin discusses how many founders overlook the importance of having the right team that gets sufficient traction with paying customer when they seek funding. There’s traction and team right. The best traction and team, then you get slack doing around you know 10 million in ARR 2.6 billion. Right, that’s traction, plus team you get Josh James at Domo, already having done, on the chair raises an angel round of 600 million in valuation. Okay, so traction plus team has never had a higher premium than today. The mistake that founders make is that they don’t realise that no team, no traction is no check. So if you are not proven and you have no customers in SaaS, do not ask VCs or even sophisticated Angels for any money. It isn’t going to happen. You have to have some sort of social proof on your team or something to make it happen. Otherwise just to whoever will help you and knows you and take a bet that’s not going to go anywhere. But remember traction, more team. So if you are totally unproven you can’t even say to the Salesforce Mafia – I hate the Mafia term, but the Salesforce mafia, the Google Mafia, the PayPal Mafia you really have nothing, even major angel list profiles look great, then you have got to go out and get 10k (in a month? ).